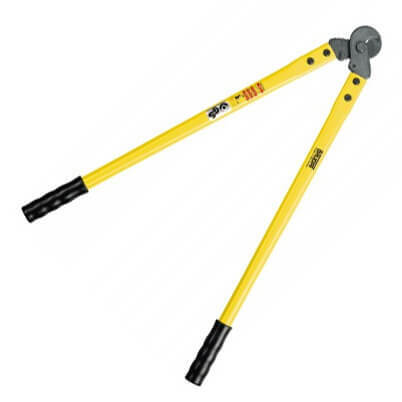 Hand Held Ratchet Wire Rope Cutters for up to 12mm Wire Rope. Wire Rope Cutter cutter for flexible wire rope to 18mmØ. For hard drawn wire ropes to 12mmØ. Stainless steel 1x19 cable to 7mmØ.